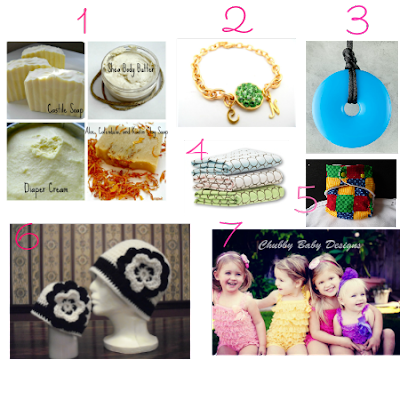 Lets celebrate Mama this March with a Mama Madness giveaway hop! Over $400 worth of prizes and 2 people will win. One winner will receive the package below! Teething Bling! This is such an adorably stylish way to keep any babies attention. Bright, bold and beautiful. Win one of your own! Mommy and me hat set from Marlows Gift Cottage. Maternity Gown by Mommie Moxie (not pictured). One winner will receive these amazing prizes below! 3 sets of Swircles Nursing Pads. Changing Pad cover from Mommie Moxie. Grand Prize at For Him and My family!! Please read: Terms & Conditions: open to residents of the US. Must be 18 years or older. Void where prohibited by. Winning depends on the total number of eligible entries received. Once the winners has been selected and contacted, winners will have 48 hours to respond or new winners will be selected. 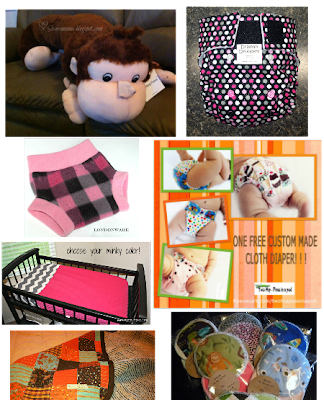 **Disclosure: So Sew Mama & Sparkle Me Pink is not responsible for sponsor prize fulfillment. I was not compensated for this post. Some of the items noted above were received for review purposes. All opinion are 100% my own.